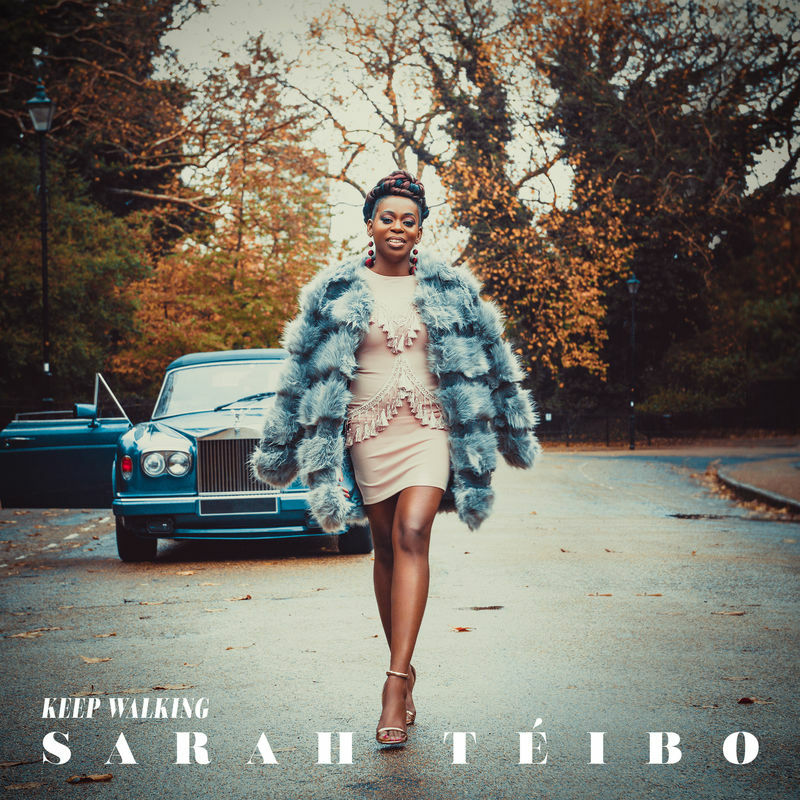 UK Gospel’s soulful songstress, Sarah Téibo, announces the release of her new album, 'Keep Walking'. The album is the artists sophomore project made up of 10 tracks featuring some of the biggest names in US and UK Gospel including Fred Hammond and Muyiwa. The album drops June 29 but is available for pre-order now with instant gratification track, ‘Like A Child - Remix featuring Fred Hammond’. Backed by a successful Pledge Music campaign ‘Keep Walking’ follows on from Sarah’s first album, ‘Walk With Me’, released in May 2016. Like her first album, ‘Keep Walking’ is filled with catchy hooks, scintillating riffs and messages of encouragement and inspiration. Personal messages made all the more real for Sarah following the death of her mother late last year. Wrestling with grief, anger, sadness, and loss Sarah found solace in her songs, reminded that in the midst of our pain Christ is our hope and strength. “People are lacking hope, people are fearful and uncertain about the future. We all face crazy trials that are overwhelming at times. We need more positive, encouraging messages. Resilience, pulling-through, fighting-through, they are messages we need to keep hearing in music and are messages I want to share with people; that no matter what they can keep walking.” Said Sarah. Produced by Luke ‘Gkid’ Grant and Shaun ‘Hypertone’ Barrett, ‘Keep Walking’ features appearances from Fred Hammond, Muyiwa, Lisa McClendon, afro-gospel artist Andrew Bellow and UK rapper Tneek. Album title track, ‘Keep Walking’, is a beautiful, melodic ballad instructing the listener to keep going in-spite of setbacks. Incorporating Sarah’s strong Motown influences coupled with her love for live instruments ‘Keep Walking’ features a live harp which gives the singer’s soulful sound a classical overture. ‘Blessed’ is an energetic, vibrant Afrobeat Summer track featuring the UK’s Muyiwa and Andrew Bello. Recorded in the midst of Sarah’s grief the message of the song is simply to remember to count your blessings. Even when things appear bleak we can find something to celebrate. Instant hit, ‘Like a Child featuring Jason Nicholson-Porter and Tehillah Daniel’ was the first single released off the album in January 2018. The remix version gives the song a playful, edgy, funk makeover featuring Gospel mega-star, Fred Hammond. ‘Keep Walking’ is available now for pre-save on Spotify and pre-order on iTunes with ‘Like A Child - Remix featuring Fred Hammond’ as an instant gratification download. The album will be released on Friday 29th June at Sarah’s album release concert & live recording at PizzaExpress Live (Holborn, London) and on all digital platforms. For event details visit https://bit.ly/2Grq9Ww.